CUE Art Foundation is pleased to announce an exhibition by Erin Dunn featuring the premiere of a new stop-motion animation film, Oceanic Dancer. Accompanying the film is a large diorama populated with vignettes from Oceanic Dancer, as well as a series of watercolors. Each of these interconnected bodies of work explore the spiritual potential of the female body, and repurpose surreal imagery from myths, fairy tales, and folk traditions. Central to the exhibition is Oceanic Dancer, a short non-narrative animation featuring a cast of intricate puppets performing in the shadows of a landscape modeled after the Pine Barrens of New Jersey. In psychoanalysis, the term “oceanic feeling” refers to a sensation of limitlessness or oneness with the universe. Freud attributed this phenomenon to the latent influence of the primitive infant ego, but for Dunn, the concept serves as a lens to examine the mystical power of the body and unpack the conventions of performance and ritual. The stop-motion choreography in Dunn’s film recalls the elegance of classical ballet, but her whirling puppets also evoke the transcendent feeling of abandoning inhibition and losing yourself in movement and rhythm. 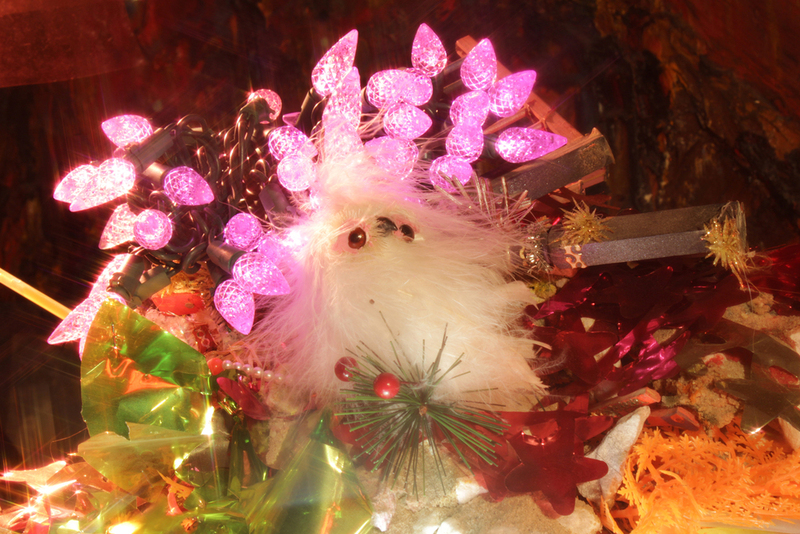 Dunn’s multi-faceted practice incorporates a variety of media that she renders in a grotesque fairy tale aesthetic. She crafted each element of Oceanic Dancer by hand, from the layered, psychedelic backdrops to the articulated puppet armatures and elaborate costumes. A diorama, filled with sculptures and paintings featured in Oceanic Dancer, offers a window into her meticulous, labor-intensive process. The film is the conclusion of nearly two years of work. A series of loose, energetic portraits on canvas occupy the project space. 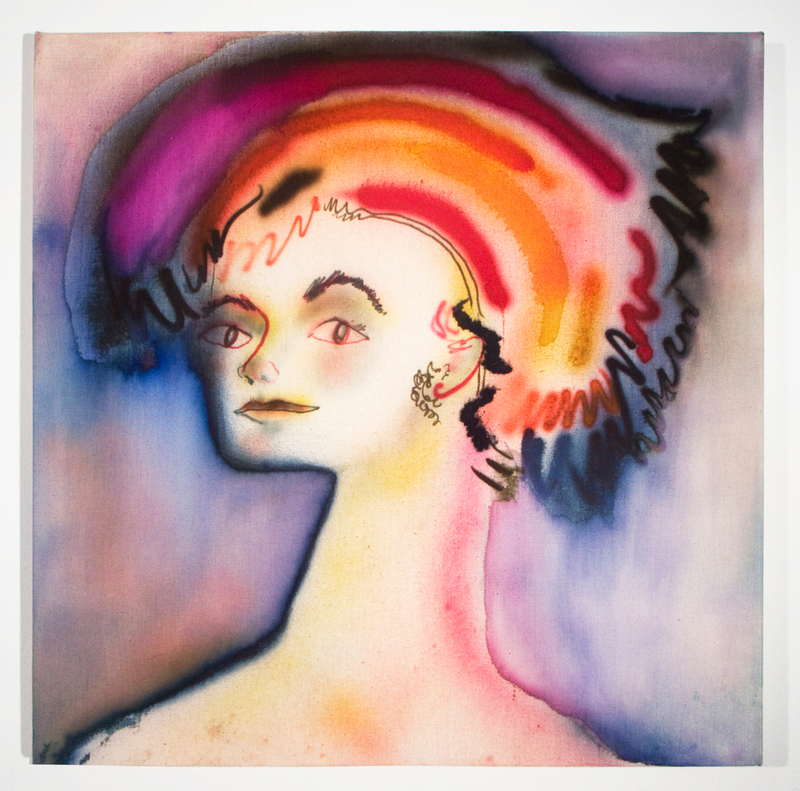 Saturated in airbrushed neon watercolors, the feminine, anthropomorphic characters in these portraits share the same mythical provenance as those in Oceanic Dancer. 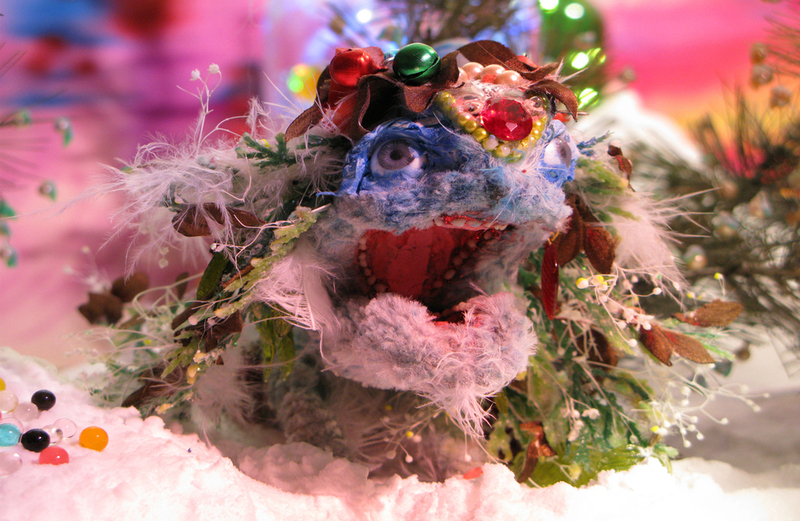 However, here they are removed from the hot-glue glitter world of stop-motion, and captured mid-smile—or mid-sneer—like characters from a storybook. Erin Dunn is a filmmaker born and raised on the Jersey Shore, currently based in Brooklyn, New York. Her process incorporates painting, mixed-media collage, sound, and performance, coalescing in experimental stop-motion animations and highly detailed installations. Dunn holds a BFA from the Rhode Island School of Design and an MFA from Rutgers University, where she received a Teaching Assistant and Graduate Assistant fellowship. She has been awarded residencies at the Lower Manhattan Cultural Council, Residency Unlimited in New York, and Stitching Kaus Australis in the Netherlands. Dunn had exhibited at venues including MoMA PS1, the New Museum, and The Kitchen in New York; MOCA in Los Angeles; and W139 in the Netherlands. Her work has been featured in The New York Times, The Los Angeles Times, Bullett Media, DIS Magazine, Animal New York, LA Weekly, V Magazine, and Fader, among others. The exhibition is accompanied by a 32 page color catalogue, with texts by Rujeko Hockley and Rachel Heidenry. Available free of charge to gallery visitors. This exhibition is a winning selection from the 2015-16 Open Call for Solo Exhibitions. The proposal was unanimously selected by a jury comprised of panelists Cecilia Alemani, Donald R. Mullen, Jr. Director & Chief Curator of High Line Art; Renaud Proch, Executive Director of Independent Curators International (ICI); and Rujeko Hockley, Assistant Curator of Contemporary Art at the Brooklyn Museum. In line with CUE’s commitment to providing substantive professional development opportunities, panelists also serve as mentors to the exhibiting artists, providing support throughout the process of developing the exhibition. We are honored to work with panelist Rujeko Hockley as the Curator-Mentor for this exhibition.